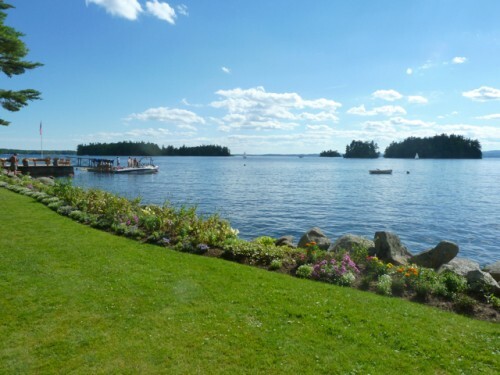 I had intended on posting today about the marvelous resort I stayed at this past weekend in Maine. But after a long trip home, I was just too exhausted to pull it all together. I apologize to all you loyal readers. I’ll have some wonderful photographs for you on Thursday. While you’re waiting, here is a little teaser. As you can see, the weather was picture perfect!! 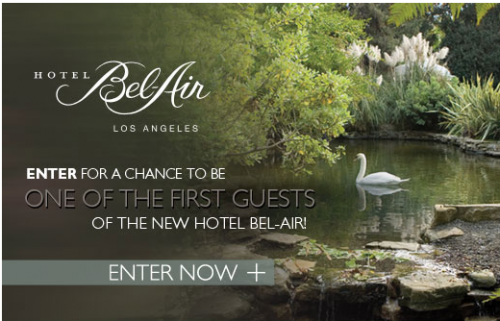 Also, if you haven’t had a chance, you might want to enter the fabulous facebook contest the Hotel Bel Air is running. For those of you who missed it, you can read about the renovation here. And no, I wasn’t asked to endorse or write about this – it’s just such a fantastic prize!! Lastly, I don’t usually post recently published magazine articles. I’d rather you support our print media, go buy the magazine and see for yourself. But August’s Architectural Digest features a poolhouse here in Connecticut by one of my favorite architects, Gil Schafer, about whom I’ve written on several occasions, most recently here. 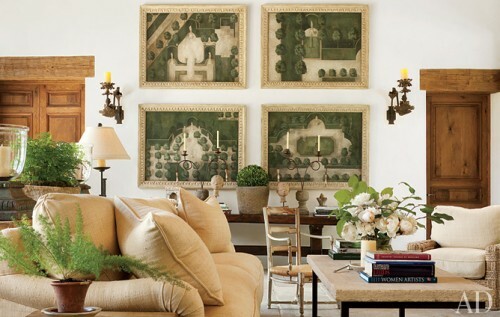 With serene interiors by John Cottrell and elegant landscaping by Deborah Nevins, I couldn’t resist giving you a sneek peak. This entry posted in architecture, Gil Schafer, travel. Entry Tags: Gil Schafer, Hotel Bel Air, John Cottrell, Maine Resorts Bookmark the permalink. Gorgeous scenery, architecture and the interior is stunning! Wow, that room in the last picture – especially that unique art – is just gorgeous! Looking forward to seeing Maine, when you have time to catch your breath! shops to visit. I went for many years to a fabulous book “Barn” just off the highway that I still dream about. It has been a looooong time since I have bought AD, but these photos have convinced me that I need to get my hands on a copy. WOW! The place in CT is just too enticing to wait until an issue shows up in a waiting room. Welcome home, if that first picture is any indication you had a blissful week in such a beautiful picturesque place…must have been incredibly relaxing! Look forward to some highlights on Thurs. THATS a pool house? Wow, spectacular, cannot wait to see the full spread, very impressive! Will be delighted to see where you spent your vacation in Maine. I love Maine and its on our list of drives we’d love to do over. I think it was Bates College where we picked up my sister one year. Glad to see you had excellent weather. Welcome Home. Look forward to hearing (and seeing) more about your trip. Nice teaser on the article. My favorite kind of pool, simple and clean with grass right up to the edge – very nice. I miss my old pool so much. Glad you’re back and that you had a nice trip! Beautiful images, q! Can’t wait to see you post on Maine. Welcome home! We just got back last night, after hours driving in the rain. Am wondering if you encountered that as well. Catch your breath and looking forward to your review on Thursday!! Glad to hear you had a good time my dear! I can’t wait to go on my vacation myself to Cambodia in a few weeks! I am ready to go- looks amazing. am cooled just by the glorious image….aaaaaaaaaaaaah!! Can’t wait to see the rest. Glad you enjoyed your vacation Q. Never been to Maine, but it looks gorgeous. I have a friend who drives up there often… last time he went for a 4-day weekend, he came back 11 days later! Can’t wait to hear more about your trip…never been to Maine, despite friends with a house there that keep inviting us! Wow oh wow! That poolhouse gives a new definition to the word poolhouse! A piano in the poolhouse? How fabulous to sit by the pool and have someone in the background playing the piano! I love the stone, the shutters and the entire look…I think it gives the Hamptons poolhouses a run for their money!! sounds like you had a fun trip..
hope all is well getting back into the daily routine again..
We love Gil Schafer …that poolhouse is fabulous! Can’t wait to read your Maine post! Isn’t it hard to come back from vacation? I have never been to Maine so I am looking forward to your photos. Also, I’d like to be lounging on the sofa in that last photo. Well you have inspired me to go buy the magazine! Can’t wait for Hursday to see more Maine pics. 80 queries in 0.463 seconds.